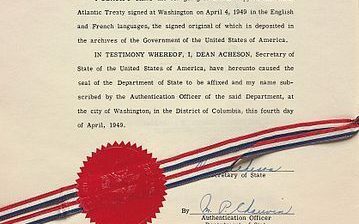 [post_content] => It was April 4th, 1949 when, in the midst of the Cold War, the Atlantic Treaty was signed in Washington, which led to the creation of NATO (North Atlantic Treaty Organization). There were 12 signatory states to the military treaty: Canada, USA, Iceland, France, Italy, Belgium, Denmark, Luxembourg, Norway, The Netherlands, Portugal, and The United Kingdom. The headquarters is located in Brussels. Today there are 30 countries in the Atlantic Alliance. The purpose of the Alliance is the defense of the participating countries, as well as a political and strategic partnership. Despite the doubts about NATO recently expressed by the US President Donald Trump, the celebrations for the 70th anniversary of the alliance will be held in the US capital during the meeting of the foreign ministers of NATO countries. It will be held in Washington on the 3rdand 4th of April, 2019. [post_content] => Jack the Ripper is perhaps the most famous murderer in the United Kingdom, although his identity has never been discovered. Beginning in 1888, the mysterious criminal murdered at least five women in cold blood in the Whitechapel district, at the time one of the poorest and most infamous parts of London. Although the investigation continued for a long time, the crime remained unpunished. Books, shows, films and even board games and video games were dedicated to the killer, but rarely did anyone focus on the victims: the women. 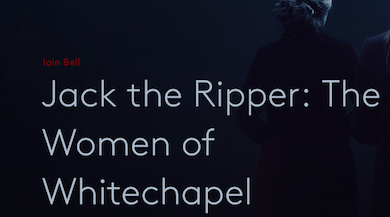 The opera, Jack the Ripper: The Women of Whitechapel, is dedicated to the women of Whitechapel, exploring the themes of community and friendship. The Women of Whitechapel will run from March 30th to April 12th at the London Coliseum in London. [post_content] => The exhibition, Reimagining Captain Cook is being held at the British Museum in London from 01/12/18 until 04/08/19, dedicated to the famous British explorer, who was killed in Hawaii on the 14th of February, 1779 and whose 240th birthday is celebrated today as well as the 250 years since his first voyage. 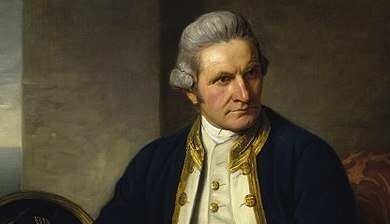 Cook was the first European to sail to the shores of Australia and New Zealand, passing by territories such as Hawaii, Tierra del Fuego and Easter Island. The exhibition dedicated to him also explores the point of view of the peoples of the Pacific, with the display of works by artists from those territories and objects collected during his travels. The three voyages he made on behalf of the Royal Society led to the first mapping of previously unexplored territories of the Pacific, thanks to his ability as a cartographer. 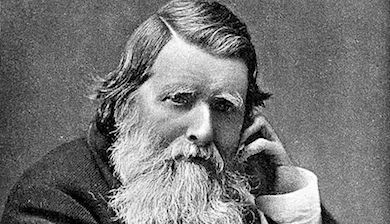 [post_content] => John Ruskin (born 8th February, 1819, London) was an art critic and a versatile artist, a friend of the famous English painter William Turner, and was himself a painter, as well as remembered for his literary and poetic works. He was a teacher of Oscar Wilde and was admired by Tolstoy, Proust and Gandhi. He influenced the Arts and Crafts movements and is considered as an inspiration for Art Nouveau. Ruskin was a particular character, a critic of the emerging industrial society; he had a deep love for art and craftsmanship, which he felt were being unacknowledged. The exhibition 'John Ruskin: The Power of Seeing' opened on the 26th January, 2019 in London to mark the bicentenary of his birth, bringing together 190 of his most important works of art, including paintings, drawings and daguerreotypes. 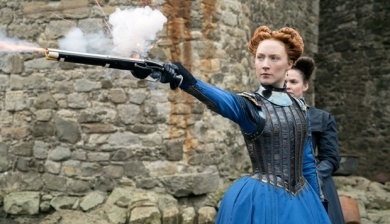 [post_content] => "Mary Queen of Scots", the new film directed by the British theater director Josie Rourke was released on January 17th. The film is based on the book "Queen of Scots: The True Life of Mary Stuart" by the historian John Guy. In 1561, Mary Stuart was widowed at the age of 18 after the death of her husband Francis II, King of France. She decided to return to her native Scotland to reclaim the crown that was rightfully hers. Her rival to the throne was her cousin Elizabeth, Queen of England, unmarried and childless. According to Guy's reconstruction, Mary Stuart was a capable politician determined to regain the leadership of the kingdom, even by forging an alliance with Elizabeth. However, the betrayals and conspiracies plotted in both courts put the two thrones in danger and led to the complete rupture between the two cousins. 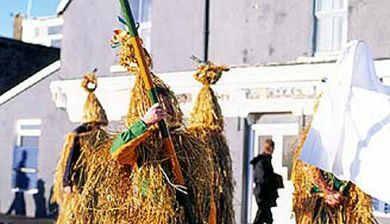 [post_content] => On the 26th of December – St. Stephen's Day – parts of Ireland celebrate Wren Day. The tradition consists in hunting a wren. According to Celtic myth, this little bird symbolizes the old year and is killed by a robin, representative of the new one. Originally, groups of boys hunted a real bird tied to the top of a pole or holly bush that had been decorated with ribbons and coloured paper. A fake wren is used today. On the morning of St. Stephen's day, the boys organize a parade where they take the little bird from house to house while singing a song. The Wrenboys paint their faces with burnt cork and wear straw masks and old clothes. They collect money during the parade, which is then donated to schools or local charities. 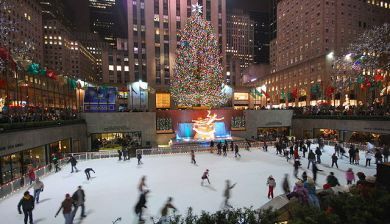 [post_content] => The Christmas season in New York was kicked off with the lighting of the Rockefeller Center Christmas tree on November 28th. The event attracts thousands of people every year and is broadcast live by NBC. This year's tree is a 22 meter high spruce. The top is decorated with a 70-pointed star covered with more than 3 million Swarovski crystals. The tradition dates back more than 80 years. Workers at the Rockefeller Center site erected the first tree in December 1931, and decorated it with garlands handmade by their families. To see a gallery dedicated to the history of the tree, please click here. The tree will be lit every evening until the 7th of January, when it will be taken down and donated to Habitat for Humanity, an NGO that uses wood to build homes for the homeless. 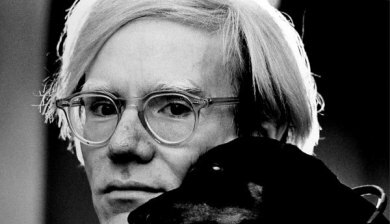 [post_content] => A major retrospective dedicated to one of the most famous American artists comes to the Whitney Museum of American Art on November 12th. 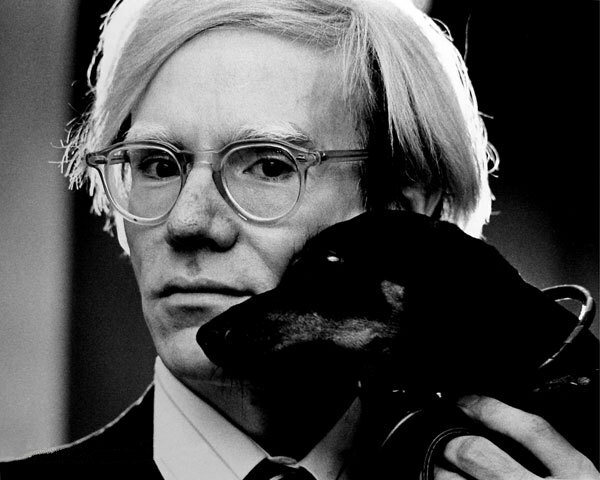 The exhibition, entitled "Andy Warhol: From A to B and Back Again", will present the forty year career of the father of pop art through a journey composed of more than 350 pieces of work. The exhibition sheds light on the breadth of the artist's production: from his beginnings as a commercial illustrator in the 50s to his iconic Pop masterpieces from the early 60s, from experimental work in cinema to the abstraction of the 60s and 70s. Furthermore, the exhibition shows how his career did not slow down after his attempted murder in 1968; instead, this episode was followed by a period of intense experimentation. The exhibition will be open to the public until March 31st, 2019. 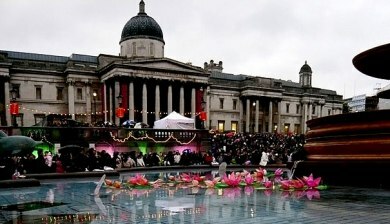 [post_content] => On Sunday the 28th of October, the Hindu, Sikh and Jain communities living in London will meet in Trafalgar Square for the great Diwali festival: the festival of lights. Diwali represents the victory of good over evil and light over darkness. In fact, the tradition is the turning on of lights (candles or traditional lamps called diya). For Hindus, the festivities for Diwali last five days and take place in the Hindu month of Aswayuja, between October and November. Diwali is also celebrated by the Sikh population who remember the "Bandi Chor Diwas" as the day in 1619 when Guru Hargobind Sahib Ji was freed from Gwalior prison in India along with 52 other princes. The program of events in London includes performances, street food and craft stalls, theatre and dance lessons. [post_content] => "Imagine", the 1972 film produced and directed by John Lennon and Yoko Ono, is back for the first time at the cinema. Newly restored and remastered, the film will be in Italian theatres on October 8th, 9th and 10th. 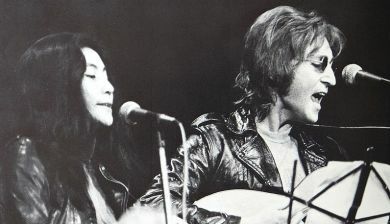 The film combines moments of fiction with real scenes shot during an ordinary day in the life of John Lennon and Yoko Ono. The musical film presents a different visual treatment of each song and follows the protagonists during the recording sessions of "Imagine", both in the United Kingdom and New York. It is also accompanied by 15 minutes of unreleased content including studio footage of John and his band performing "How Do You Sleep?" and "Oh My Love". The film is released in cinemas on the occasion of the worldwide celebrations of John Lennon's birthday, born on the 9th of October, 1940.